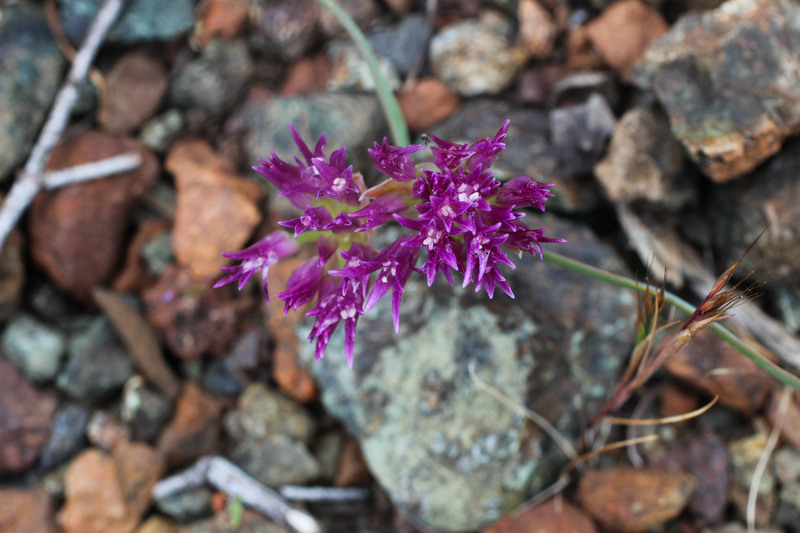 Clusters of purple flowers are perched like tiny bouquets on the barren soil of a serpentinite outcrop. Each flower emerges directly from the earth, attended by one or two curling, blade-like leaves. 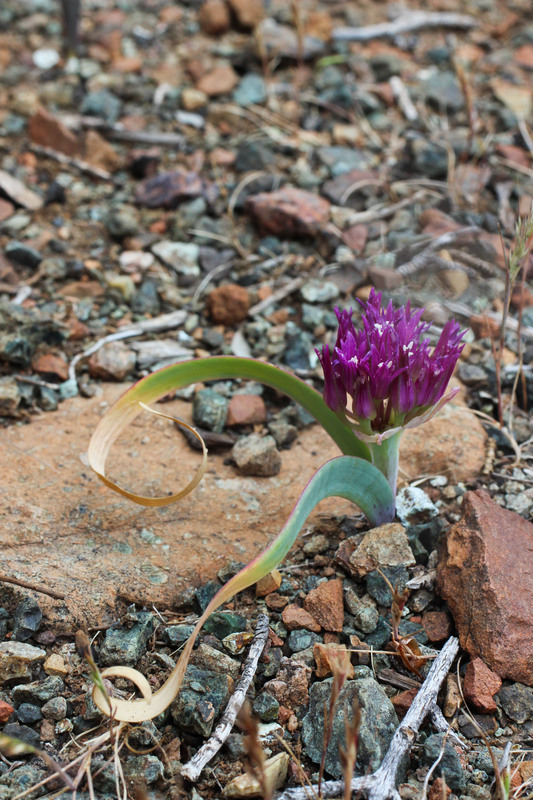 This is scythe-leaf onion (Allium falcifolium). Its flowers are only about a centimeter long–brilliant fucshia-colored funnels with six white stamens inside. The leaves are a dusty shade of green. According to the Manual of Pacific coast drug plants, Native American tribes used scythe-leaf onion for food, and it was used medicinally as a diuretic. It grows on rocky, well-drained soils and has a strong preference for serpentine. Look for it from Santa Cruz to the Siskiyou Mountains of southern Oregon.